Discussion in 'Microsoft Surface Book' started by starcrusader, Jan 7, 2018. -iPearl MCover, but apparently it is a poor fit and cover the ventilation gaps. -Urban Armour Gear case, but it is expensive, bulky, ugly and not well suited to using the tablet in landscape mode (due to protruding lugs). Thanks. I should have clarified, I’m looking at fitted shells rather than bags/sleeves. The icarer. Looks good, but apparently it won’t fit the SB2. Grrr. I just bought the icarer case and it seems to fit fine. I am not sure how as I thought the Surface book 2 was slightly different in size. Anyway fits and looks great. That's weird, the company told me it wouldn't work. Can youpost the link to the one you bought? Also, which model SB2 do you have? Any pics of the final product with your laptop inside? How about the front of the base part of the SB? Does it fit properly and not hang off loose? I have the Surface Book 2, Bought it 2 weeks ago. I bought the case off Ebay. I will post pics Soon. Love it. I wish that was available for the 15 inch model. 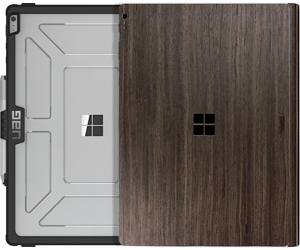 Well, the only shell case available for Surface Book is the iPearl, and I agree there are some issues with iPearl mCover. It also happened to me, but I reached to customer support replaced it, the second one I received was a perfect fit for my Surface Book 2. The UAG is a Rugged Case, it's not a shell case, and it is a very expensive case right now. Also, I don't recommend it, but yes Urban Armor Gear is the best choice if you travel a lot and works in the engineering industry. The third protective case I recommend is TOASTMade, but it will only help you protect your device from getting scratches. Alternatively, you can go for some Chinese brands like iCarryAll, Heycase and iCarer.